Permalink -- click for full blog post "April 30, 1975"
Permalink -- click for full blog post "National Vietnam Veterans Foundation"
Permalink -- click for full blog post "Val Kilmer was Talking About Acting..."
A military court martial administers justice in military courtrooms in accordance with the Uniform Code of Military Justice and prevailing military law. Permalink -- click for full blog post "Military Court Martial Seeks Justice"
Permalink -- click for full blog post "Coalition to Support America's Heroes"
Permalink -- click for full blog post "Disabled American Veterans"
Permalink -- click for full blog post "SEAL Jonathan Keefe Not Guilty"
Permalink -- click for full blog post "First of SEAL Trio Acquitted in Baghdad"
Permalink -- click for full blog post "Requesting Donation to Charity with Free Gifts"
Permalink -- click for full blog post "Green Country Veterans Association "
Permalink -- click for full blog post "Project Healing Waters Fly Fishing"
I could not find a rating for Disabled Veterans National Foundation, Inc. Is this veterans charity providing valuable assistance to our nation's veterans? Permalink -- click for full blog post "Disabled Veterans National Foundation"
Permalink -- click for full blog post "Val Kilmer AKA Hanoi Val"
Do you have a rating for Vietnam Veterans of America (the national organization)? It's not shown on your page of charitable 501 C3 or 501 C19 organizations. Permalink -- click for full blog post "Vietnam Veterans Of America"
Permalink -- click for full blog post "Check Out Veterans Charities"
Here's a friendly last-minute reminder that the deadline for filing your 2009 income tax return is this Thursday, April 15. If you just haven't been able to get all your records together and figure out your taxes, be sure to file a request for extension by the deadline. But be aware that this a merely an extension of time to file, not an extension of time to pay the taxes due. If you owe additional taxes, you will be assessed interest and possibly penalties on the unpaid amount. Click the link below for more details, including a link to the IRS Form required to request an extension. Permalink -- click for full blog post "April 15 Tax Deadline Thursday"
Permalink -- click for full blog post "United Proud Patriots Veterans Organization"
Permalink -- click for full blog post "American Veterans Foundation"
Permalink -- click for full blog post " National Veterans Services Fund"
Recently my sister received a phone solicitation from United War Veterans (they neglected to add of New York) who wanted to schedule clothing pick-up. Permalink -- click for full blog post "United War Veterans Council"
Permalink -- click for full blog post "Obama is Smoke and Mirrors"
Permalink -- click for full blog post "National Veterans Foundation"
We'd like to wish a Happy Easter to all our men and women in uniform around the world today, and let you know you are not forgotten. Thank you for your efforts and sacrifices to preserve and defend our freedom. God bless you on this holiest of days in the Christian year, and bring you home safely to your families. A reader asks: I didn't see a rating for 'Foundation for American Veterans' in Michigan. 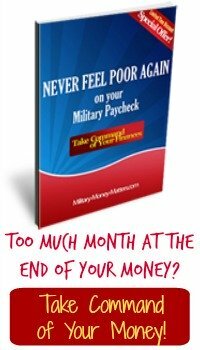 Are they a good organization or another bad money handling outfit? Permalink -- click for full blog post "Foundation for American Veterans"
Permalink -- click for full blog post "Save the SEALs!" Permalink -- click for full blog post "Wounded Warrior Project Info?" Permalink -- click for full blog post "Val Kilmer - a UK perspective"
Permalink -- click for full blog post "Low Interest Credit Card?" Permalink -- click for full blog post "What's Great About America"
Permalink -- click for full blog post "Congress: If You Vote for Healthcare Reform, We Will Defeat You"
Permalink -- click for full blog post "Val Kilmer Turns Tail and Runs"
Be sure to watch the Extreme Home Makeover for military family Sherman and Gina Heathcock and their three children Sunday, March 21, 2010, at 8:00 p.m. (7:00 p.m. Central Time) on ABC. The family gets a surprise you won't want to miss. But be sure to have your hankie handy. Permalink -- click for full blog post "Watch Extreme Home Makeover Sunday, March 21"
Permalink -- click for full blog post "Health Care Bill is Evidence of Government Run Amok"
It's up to you! Despite the opposition of an overwhelming majority of Americans (3 to 1), Nancy Pelosi, Harry Reid and the Democrats intend to try to ramrod their version of "Health Care Reform" through the House of Representatives this weekend. The Congressional Budget Office has released the final numbers on the Democrats' health care bill. They estimate this unprecedented takeover of our health care system will cost taxpayers $940 billion. According to Senator John McCain, this bill is full of kickbacks and back room deals, and exceeds the $900 billion ceiling President Obama himself set last September. "If Nancy Pelosi can successfully cajole, intimidate, and coerce her Democrat majority into approving a bill the American people are against by a 3:1 margin, Obama and the rest of the radical Democrats in Washington will see their dream of government-run, government-rationed health care come true. We have just a few days left to convince House Democrats who are still on the fence that no amount of political payoffs or promises justifies betraying the American people, making a mockery of democracy, and forever closing the door on the personal liberty that is the heart of American society. "Just a few days to let House Democrats know that we will not stand for the Obama-Pelosi-Reid hijacking of our freedom and democracy so they can impose their socialist 'utopia' of higher taxes, restricted access, inferior quality, and deadly inefficiency on the best health care system in the world. "You and the RNC are all that stand between the Democrats' scheme to take more of your hard-earned income to pay for this unsustainable, freedom destroying entitlement and an opportunity to work for real, truly bipartisan step-by-step solutions for bringing down costs and increasing coverage that the American people deserve." It's up to you to stop them. 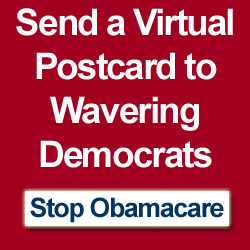 Click on the red button above to send an e-postcard to all the House Democrats who are wavering. It's free, and they need to be reminded that they work for us, the American people. You can choose one of three images to go on your postcard. Personally, I like the yellow Gadsden flag showing a coiled snake that says "Don't Tread on Me." It should serve as a reminder to our elected officials that if they choose to tread on the American people, we'll simply vote them out and send them home. Hopefully, we'll get their attention and deliver the message before it's too late! Click now! Permalink -- click for full blog post "American Politics, American Government Not Serving the People"
Permalink -- click for full blog post "Census Forms Should Arrive This Week"
Diane writes: I went to look up the best veterans charity that would help our military the most. I wanted to write a check & so I checked this website. Permalink -- click for full blog post "Honorable Veterans Charities?" Permalink -- click for full blog post "Vietnam Veterans Memorial Education Center"
Permalink -- click for full blog post "Infantry in Vietnam was a Higher Percentage of Draftees"
This fun quiz at HowStuffWorks will test your knowledge about Military Money Matters. There are 10 questions, and the average score is 5. You'll need to read each question carefully. And be sure to read the explanations at the bottom of each question, whether you get it right or wrong. You might learn something new! Enjoy.